Paul Richard Fujiyama, 60, of Kilauea passed away at home on April 18, 2018. 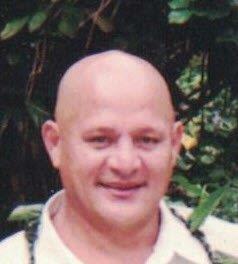 He was born on Oahu on April 20, 1957 and was a landscaper with Aloha Acres. Paul is survived by his wife of 41 years, Vanessa Galbiso Fujiyama; mother, Harriet L. Hatori Bolosan; father and step-mother, Oliver and Anna Fujiyama; step-sister, Luana and step-brother, Kekoa. A celebration of his life will be held on Saturday, April 20, 2019 from 10:00 a.m. to 2:00 p.m. at the Anaina Hou Porter Pavillion below the Kilauea Mini Golf Course.